Bob is a retired college biology professor living in Auburn, Washington. He earned a PhD from Oregon State University in Invertebrate Zoology, with an emphasis in biological oceanography, and is a recognized expert on the taxonomy of deep-sea shrimps and their parasites. Bob is an active birder and a member of the Rainier Audubon Society in Auburn, Washington. He especially enjoys watching birds at feeders in his yard. He is a member of the Northwest Carvers Association, the Pacific Flyway Decoy Association, the International Wildfowl Carvers Association, and the Ward Museum of Wildfowl Art. 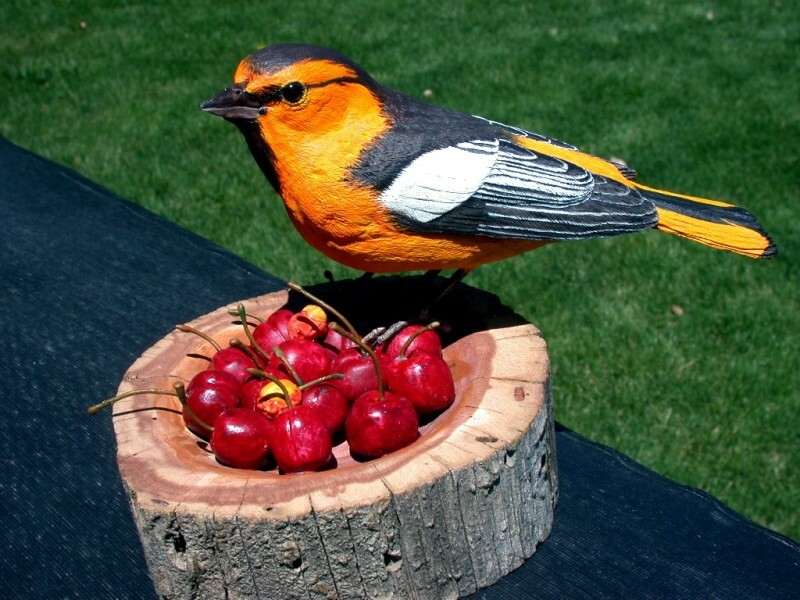 Bob has been carving birds since 1994, specializing primarily in songbirds. 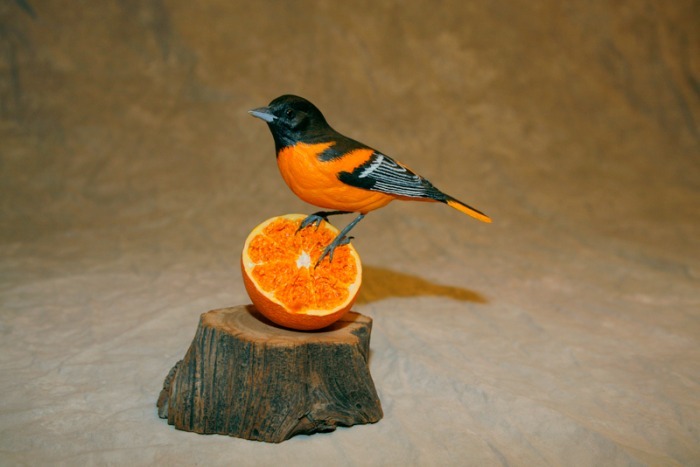 He strives to give expression to his awareness of the diversity and beauty of birds in his carvings. He has taken seminars on carving and painting birds, as well as habitat studies with notable carvers Roz Daisey, Jerry Simchuk, and Bob Guge. Bob's carvings have won awards in competitions at the local, regional, and the national level, including the Idaho Artistry in Wood Boise Woodcarvers Show, the Northern Virginia Carvers Artistry in Wood Show, the Carroll County Carvers Festival of Carving, the Mid-Atlantic Wildfowl and Wildlife Festival in Virginia Beach, Virginia, the Northwest Carvers Show and Sale in Puyallup Washington, the Quiceda Carvers Show in Monroe, Washington, the Pacific Southwest Wildlife Arts California Open Show in San Diego, California, the Pacific Flyway Decoy Association Wildlife Art Show in Sacramento, California, the Columbia Flyway Wildfowl Show in Vancouver, Washington, and at the Ward World Championship Wildfowl Carving Competition held in Ocean City, Maryland, sponsored by the Ward Museum of Wildfowl Art in Salisbury, Maryland. Several of his carvings are in private collections and have been sold at a gallery in Sisters, Oregon. 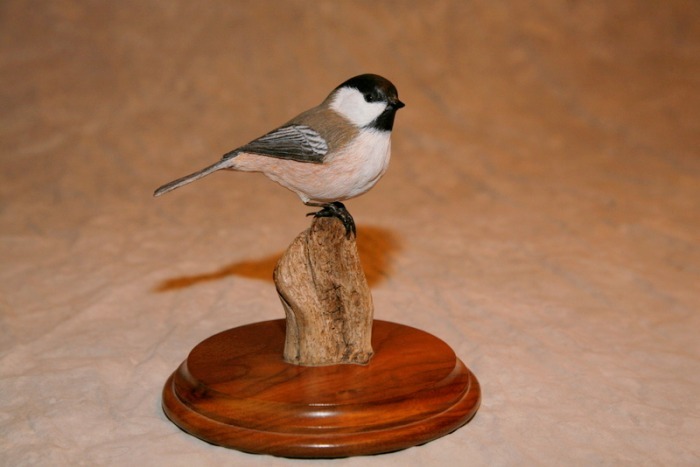 He currently has selected carvings available at New England Saltbox in Sumner, Washington.